Identifying and establishing an efficient protein recovery process can be a time-consuming endeavour. 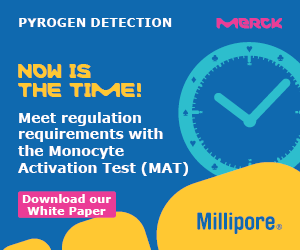 In addition, a case study compares the traditional sequential chromatography to a multidimensional workflow, demonstrating that both methods yield proteins of equivalent purity. To assist with this, Pharmaceutical Process has issues a new e-book. The e–book shares best practices for downstream purification, and shows how continuous purification methods can offer increased productivity and greater process reliability and reproducibility in the laboratory and when scaling protein purification processes for the production of commercial quantities. In addition, a case study compares the traditional sequential chromatography to a multidimensional workflow, demonstrating that both methods yield proteins of equivalent purity. Infection Control Today have a free digital issue on the subject “Microbe Menaces Emerging Infectious Diseases, Hospital Pathogens Remain an Ongoing Challenge”. This publication explores disease caused by emerging infectious threats as well as hospital pathogens, and the interventions – such as hand hygiene, contact precautions and environmental cleaning – that can be used to control and prevent infection transmission. Cleanroom components: Install anti-contamination flooring to minimize particulate carry-over, both foot-borne and from cart wheels. Find a qualified third party expert to annually certify the acceptable performance of the air handling systems inside the controlled areas (HEPA filters, BSC, LFH, isolators). Integrate automation/robotics when feasible to limit interventions by personnel. In relation to this by Deborah Hoffer has written an article for Controlled Environments magazine. The piece can be accessed here. What is the impact of disinfectants on environmental testing? Do you monitor, run or work in an aspectic facility? If yes – you should be attending this event! The manufacture of sterile pharmaceutical product requires specific care Regarding environment, premises and practice of the personnel. Regulations in place to be used by the Pharmaceutical Industry give requirements on the environmental monitoring program. With the publication of FDA Warning Letters and 483 That form shows environmental monitoring procedure and practice of the staff belong to top 10 of the gaps found During inspections. Benedict RAMOND has written an interesting article for the magazine La Vague. The article can be found here. A new Pharmig one day course - 'Best Practices in Environmental Monitoring'. As a prototype for the future, is it possible to consider an energy efficient filter system that cost-effectively maintains airflow towards a reduced rate of change? Michael Rodd, Chief Sales Officer at M+W Products (www.products.mwgroup.net) looks at elements of life sciences in the clean room and envisages how future practice can radically change the concept of clean room procedures. It is common to expect the output of a clean room operation to end as a microprocessor in your phone, laptop or car, but in fact, the first measured effort to control an environment was used for medicinal purposes on a table in a hospital. British surgeon Joseph Lister in 1867, at a time when multiple surgeries were performed using the same contaminated equipment, sterilised his hand using carbolic acid and experimented implementing this technique on wounds and needles to discover the elimination of bacteria. Although much has changed since, and both our efforts and realisations of scientific procedures have adapted, the dedication of modern life sciences was reinvigorated as a fairly new discipline of the clean room subdivision over the last century. This process encapsulates everything utilised by the way of clean room technologies in the production of medical substances, pharmaceuticals and biological compounds. As the history of the pharma world displays, our requirement for a clean room stems from the need for contamination control. Whether that’s using gloves during primitive operations or alcohol as an antiseptic to sterilise needles or creating paint and lacquer work out in uncontaminated air near the Pacific Ocean, our need to benefit from such processes has been fuelled by the requirement to control and clean our imminent environment. This demonstrates something else too – that the clean room has developed from a permutation of science and engineering – assessing scientific processes that have worked and engineering them to deliver better results. This multidisciplinary approach has been encased by technological practices available at certain periods of time. Fundamental to the field of life sciences and pharmaceutical micro biotechnology is contamination control. First and foremost, the apparatus used for pharmaceuticals in clean room laboratories should be dedicated and separated from other areas. Nailed down, this involves the classification between protecting the working environment and protecting the operator from any potential contamination. This is because humans remain the biggest cause of contamination; that may never change. To put this into perspective, the outer layer of human skin can host up to 1 million microorganisms per square cm, and equally, human saliva up to 1 billion per square ml. The frenzy of microbes is difficult to keep on top of at every stage of the process. Basic negligence can cause the microorganisms from our clothes, mobile phones or bare skin to contaminate working stations. For instance, hands, whether gloved or un-gloved, are one of the main sources of spreading infection or transferring microbial contamination. Thus, an important part of good contamination control within a cleanroom requires the use of cleaning and disinfection agents. It goes without saying that just as personnel may be the biggest contaminants, they are also critical to the maintenance of asepsis in a controlled environment. 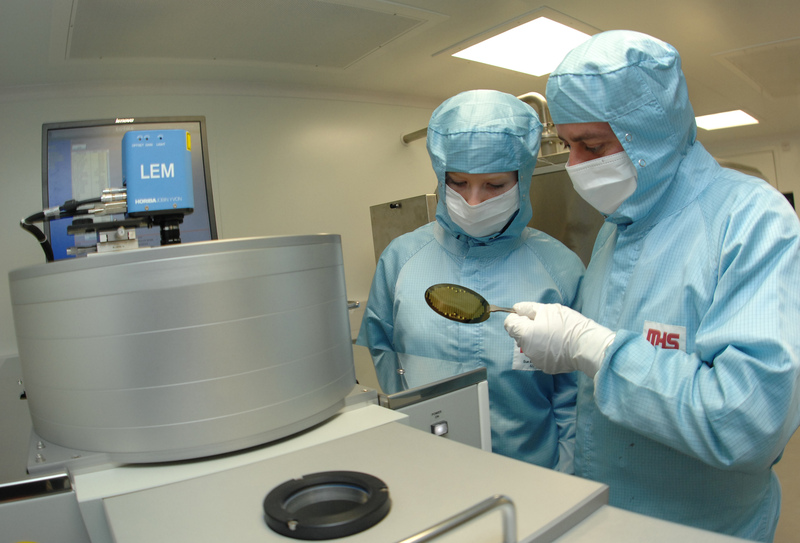 Therefore diligence and training in clean room technology is essential throughout the entire process. The improper analysis of microbiological inspections may cause inadvertent contamination. Therefore, thorough aseptic processing like product or microbial bioburden to calculate viable organisms is needed to prevent any sort of contamination during the process stream. In some cases, even measuring total particulate count within a vessel does not cater for the continuous generation of organisms by individuals; therefore it does not always quantitate all contaminants and provide the whole picture of microbiological content. 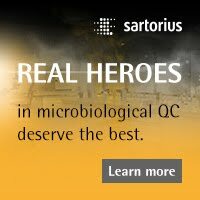 Microorganisms will associate with physical particulates and therefore it is necessary to include monitoring techniques that satisfy both the classification and regulatory requirements by differentiating the microbiological components of an operation. 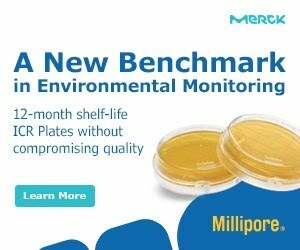 Stringent optimisation of tests will give assurance that bioburden of the environment is apt for clean laboratory practices. In its simplest form, a product being operated within a clean room during a process line includes an enclosed vessel or large container that is sealed from external air temperature. Throughout this process, it is the aim of every operative to maintain conditions to a level where they can be declared sterile or aseptic. A clean room is classified based on the cleanliness of its air so as far as clean rooms go, anyone wants to keep the environment as clean as possible. One of the trends we’ve seen across this spectrum (and it is a large spectrum) is on the lower end quality scale concerned with areas that are Clean Not Classified (CNC). These are areas that can be regarded clean within definitive purposes of the word in regards to the production area, but they are not actually classified because they work on a process we call Good Manufacturing Practice (GMP) or Current Good Manufacturing Practice (CGMP). The ability to manufacture medical devices with consistent high quality relies on well implemented and well documented GMP. 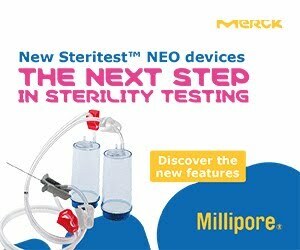 The GMP code sets out a guideline to achieve sterility assurance. Any business that delivers clean room technology requires constant monitoring and up-to-date certification. The measurement most universally applied is the Grade A-D standard, whereby a cubic foot sample is taken of the environment and the number of particles greater than 0.5mm measured within it. Areas are classified on a graded system from A onwards, with A being the cleanest. So the purpose of a low quality CNC is to effectively get as close as possible to classification. D certified environments accept the inclusion of certain particles even in dynamic conditions (i.e. when people are operating within contained vessels) with turbulent airflow, whereas A certified environments deal with linear laminated airflow that is non-turbulent. Cleanliness is commonly achieved through the development of effective HEPA (High Efficiency Particulate Air) filtration and this is considered as clean as necessary for a GMP Grade A condition. Let’s complicate things a step further. Introduced here is the onion concept. Its name is derived from the idea that as you peel the onion, a processor must past through successive cleaner areas to reach the centre, non-turbulent, Grade A area. In essence, the onion concept caters for the disposal of multiple grade conditions within the same vessel or container. Furthermore, the application of disinfectants on specimens reduces the microbial bioburden as we discussed earlier. Therefore, when collecting environmental monitoring samples, personnel should begin with Grade A locations and then move on to areas that are away from technical apparatus but still within the controlled zone. This grade system is applicable in cases where processors and products are exposed during transportation, or operations that are required to be performed outside of sealed compartments. Grade B is commonly of high purity but does not necessarily involve laminate air flow. So the trick here lies in maintaining airflow to a certain speed. Essentially, imagine the onion concept: each time a layer of the onion is peeled, the amount of particulate or contaminated risk to the product is reduced. For any sales or financial operative, however, this all costs money and clean rooms are an expensive market already. The integration of new technology and efficient solutions has ignited consideration of future controlled environmental procedures to limit the number of air changes per hour. Can future systems be both more efficient and challenge the tradition of multiple air changes and still ensure constant clean air? This is a radical thought and not on the agenda yet, but with a global drive for efficiency and cost-saving mechanics already found within homes and our cars, is there a need for such ideas to be infused as part of the life science debate? A future model to strive for would be to find an energy efficient procedure of controlled environments that maintains the right quality and temperature at the lowest price possible. The future of pharmaceutical trends in the clean room is exciting. Scientists from the National Physical Laboratory (NPL) and University College London (UCL) have converted a breast milk protein into an artificial virus that kills bacteria on contact. The antimicrobial activities of this protein are mainly due to a tiny fragment, less than a nanometer across, made up of six amino acids. Based on the metrology of antimicrobial mechanisms, the team predicted that copies of this fragment gather at the same time, and at the same point, to attack bacterial cells by targeting and disrupting microbial membranes. For further details, see the news report from the U.S. National Physical Laboratory. 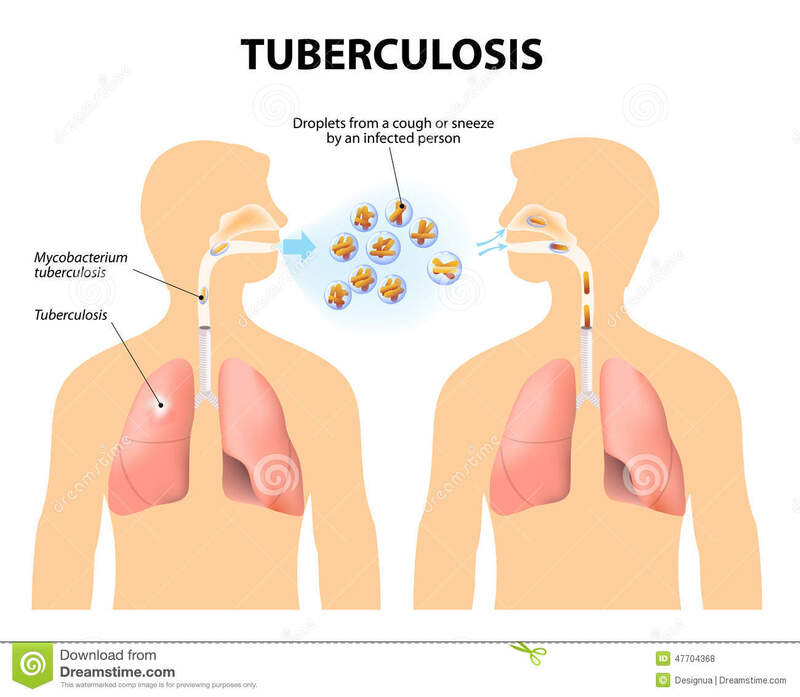 Tuberculosis is a disease caused by bacteria that infects the lungs. It is highly contagious and can potentially be fatal, but until recently it was on the way out. During the last 20 years, overuse of antibiotics has helped to create drug-resistant strains of the bacterium that have turned tuberculosis from a Victorian-era disease that was often romanticized into something that needs to be feared and respected once again. While the overall number of tuberculosis cases in the U.S. is dropping, a number of population subsets are increasingly affected by the disease. A number of factors put individuals at risk for contracting TB, including weakened immune systems or medical professionals pass on the infection after treating infected patients. A 2014 report by the CDC revealed some worrisome trends, including the fact that more than 50 percent of TB cases are concentrated in four states: Florida, New York, Texas and Florida. What do those four states have in common? They are also the main entry points for immigrants, both legal and illegal, who are entering the United States. As of 2013, more than 64 percent of TB cases were diagnosed in foreign-born individuals who had come to the United States. Since a standard case of TB often costs around $17,000 to treat, many people who don’t have access to health care or insurance often go untreated, spreading the disease to anyone that they may come into contact with. Drug-resistant TB can cost even more, with a full treatment reaching $134,000. Extreme drug-resistant TB, which doesn’t respond to any of the traditional treatments, can cost nearly half a million dollars and even this cost doesn’t guarantee that the patient will be cured of the disease. TB causes more deaths globally than any other infectious diseases. It is airborne and released when an infected patient coughs or sneezes, and can easily be caught by anyone who is in close proximity to the infected individual. The current immigration polices both in the U.S. and in areas like London do not allow for the screening and/or treatment of potentially infected individuals. Instead, large numbers of these individuals are living together, often in small or substandard housing which creates the perfect transmission conditions for TB and other similar diseases. The Centers for Disease Control have guidelines in place requiring medical examinations for any refugees or immigrants coming into the United States, whether they are here on a temporary visa or permanently. Unfortunately, they can only perform these exams if the individuals are entering the country legally. Individuals who carry TB and other similar diseases but are not able to be examined are carrying a disease that was nearly eradicated in many countries into fresh breeding grounds. While there is a great call right now for countries to open their borders in the wake of the events in Syria that left many as refugees, the borders should be opened intelligently. Housing needs to be improved for refugees or immigrants so that large numbers of people are not crammed into small spaces. Individuals need to submit to a medical exam before being allowed to enter a country. A basic TB test usually takes less than 24 hours if the patient isn’t symptomatic. Medical establishments need to be more approachable — if an individual is presenting symptoms of TB, they should be able to approach a medical establishment for treatment, if for no other reason than to prevent the disease from spreading farther. The public as a whole, including refugees and immigrants, needs to be educated on the symptoms and effects of the disease. Someone might go about their day just thinking they have a bad cough while transmitting TB to everyone they meet. These precautions might seem a bit harsh, but with many people crossing borders into countries where TB was nearly a thing of the past, heavy-handed precautionary measures may be just the thing to help us wipe out TB once and for all. An interesting statement: "There are only two ways the human body can deal with the invading pathogens and infections that can cause colds and other illnesses – and neither involves vitamins or ‘superfoods’ that claim to offer protection." This comes from an article published in The Guardian, by Dara Mohammadi. Here is an extract: "The immune system can be broadly split into two parts, the innate and the acquired response. On detection of infection, it’s the innate response that acts first. Though fast, it lacks in finesse, and deals with an invading pathogen in much the same way that the Ghostbusters might try to remove a ghost from a haunted hotel. It gunges the halls and doorways to try to flush it out (that’s why you fill up with phlegm and snot), it yanks up the thermostat to try to boil it (why you run a fever), and it shuts down the building until the problem is solved (it makes you depressed and lethargic so you don’t go out and pick up another infection while your immune system is at work)." To view the full article, see The Guardian. 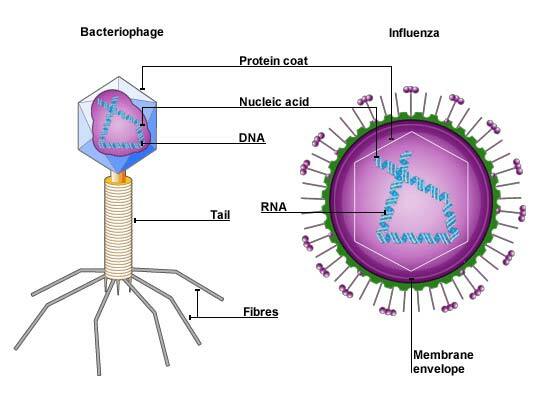 Some of the most pathogenic bacteria in the world possess the ability to quickly overwhelm and kill their prey cells, by injecting toxic proteins into them – often using a process called type VI secretion (T6S). When first discovered in 2006, scientists believed this system was unstoppable, but a new study from Princeton University, USA, and the University of Basel, Switzerland, revealed that if the target cells are a large enough group, the predatory bacteria cannot overpower them all. Although the outer organisms are vulnerable to attack, if the group is big enough the inner cells can reproduce at a rate that means the pathogen is unable to take over. Cleanrooms in healthcare and pharmaceutical facilities must be kept in a state of microbiological control. This is achieved in a number of ways, including the physical operation of Heating, Ventilation, and Air Conditioning (HVAC) systems, control of materials, properly gowned and trained personnel, and through the use of defined cleaning techniques, together with the application of detergents and disinfectants. The object of cleaning and disinfection is to achieve appropriate microbiological cleanliness levels for the class of cleanroom for an appropriate period of time. Thus the cleaning and disinfection of cleanrooms is an important part of contamination control. To view the article, see CE. The bacteria that cause syphilis and Lyme Disease have something extraordinary in common: they manage to propel themselves through their environment in spite of the fact their tails are located inside their bodies. Jennifer Frazer has written an interesting article on the curious motions of specific bacteria for Scientific American. For bacteria, they're also unusually shaped and active. In this movie, you can see the bacteria that cause Lyme Disease moving like living, squirming cavatappi. To read the article in full, see Scientific American.